Broken screens. Lack of storage space for the latest software update. Devices that went through a cycle in the wash. We've all been there! It's so disappointing to realize that you (or your child or even pet!) ruined our expensive technology and hand-held devices. 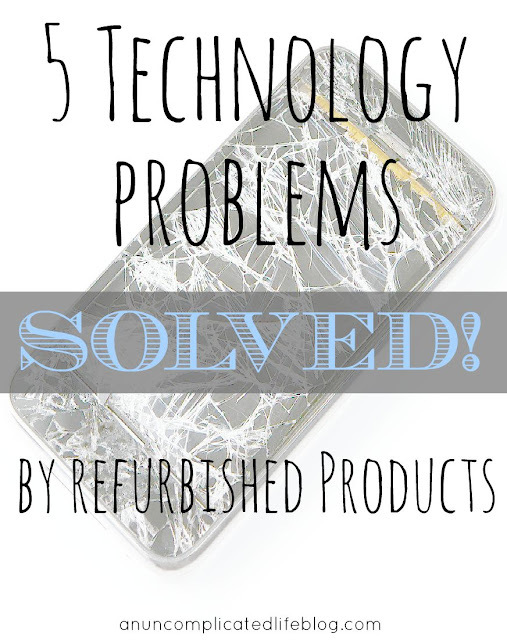 Here are 5 technology problems solved by refurbished products! 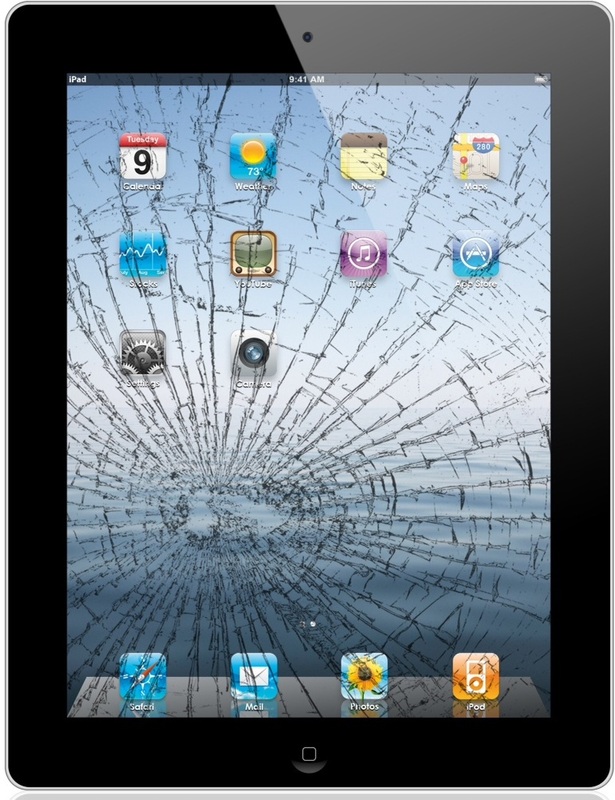 The biggest bummer about your smashed, broken, water-logged or out-right lost device is the cost to you to replace it. You get no discounts (why does Apple never go on sale?!) and odds are, your service provider did away with "2 year upgrades" long ago. If you think you're stuck paying full price to replace it, you haven't checked out Gazelle! Gazelle is a website where you can upgrade or purchase refurbished cell phones and Apple products. They thoroughly inspect and certify all devices, and cover it with a 30 day warranty. These aren't the old phones nobody wants anymore either, you can find the latest android and iPhones on their site! It's a win for parents, clumsy folks and even the most responsible of us who just had a bad day or made a mistake. 1) Your child destroys your iPhone. Did your phone go swimming in the toilet? Perhaps it was tossed across the room and landed in the fireplace. Better yet, it might have wanted to "taste your coffee" by taking a dunk in your coffee cup! Children have a way with technology. Sometimes they inspire us with how much they know at a young age, sometimes it tears us apart with how careless they are with such expensive items. With Gazelle, you don't need to replace your iPhone with a brand new, full priced one. You can purchase it off their website knowing that it's backed with a warranty, and pay a fraction of the cost that you would at service provider or retail location. 2) Your child destroys your iPad. I see more and more children proficient in using iPads, and it's even becoming a common learning tool in the classroom. Which is excellent for teaching kids how to integrate technology into their everyday lives, and bad news for your poor iPad! Perhaps it was used a little hard and the screen cracked so badly you can't use it. Don't buy a new one at full price! Look into refurbished iPads, and save the difference in cost! If your iPad looks like this, look into a refurbished one before buying new (again)! 4) You lose your cell phone. Perhaps you had a real late night last weekend and left your phone at the bar. Maybe your phone grew legs and walked off somewhere between the office, your commute and dinner. Anyway you slice it, your phone is GONE and you don't want to fork out another couple hundred dollars to a full GRAND to go to your service provider and get another one. It's all good, because Gazelle even has a section on their website of affordable cell phones if you're operating on a tight budget! 5) Your child is "the only one in school without a phone!" You have no idea how thrilled I am that my son is still too young to whine about this. But I feel for you parents with older children who aren't so lucky! Where do these parents get the funds to buy their children the latest smart phone, right? Especially if they're replacing the lost or broken phones of their children in addition to their own! Yikes. Gazelle has your back though. They also have phones specific to the needs of kids on their site, and are fully refurbished, certified and covered under Gazelle's warranty! Technology is great until it stops working! 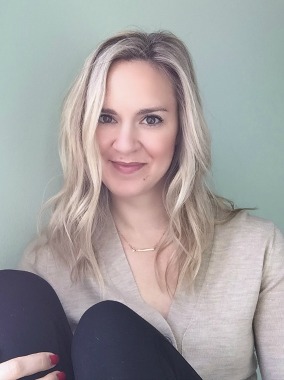 I hope you don't face these 5 technology problems, but if you do, solve them with a refurbished product over forking out the dough for a new one. I could have used this information about 3 years ago. :P Glad to have it now! Ughhhh seriously is there anything worse than a smashed apple screen product? Good to know girl! Thanks for this introduction. Totally going to have to look into this next time I need a new phone! It's bound to happen sometime...and phones are so expensive nowadays! just wondering if they repair iPad screens too? This happened to me a few months ago. I dropped my phone, no case on it, screen smashed. Luckily it wasn't too terrible to get it repaired, but still, parting with that money is hard. Sounds like a great site that I will have to look into next time I drop my phone (which happens often unfortunately). Love Gazelle! I'm thinking of buying my son a used iPad from there! Ugh! I'm horrible with phones. I have to get otter box cases or I'll smash the device because I'm so, so clumsy. God in Feedly, once you click outside the box, you're forbidden to add anything to your comment. So stupid. fabulous! i will have to check this out. i have been meaning to look into ipads but they are just way too overpriced for me. maybe i'll get one from gazelle!